Let's review what I've done so far. 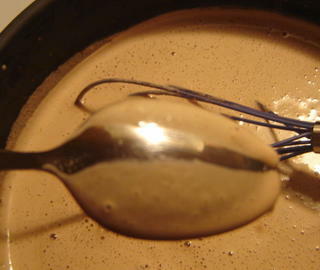 First I made a vanilla custard ice cream with gingersnaps. Then I made a fruit sherbet with a buttermilk base. And an update: the berry sherbet has been a big hit with youngsters ages 4 and 18 months and with adults over thirty. This time I'm back to making ice cream and I'm flavoring the cream itself, infusing it with some good stuff. This is a step more complicated than my gingersnap ice cream. My childhood favorite ice cream flavor was chocolate (and variations such as Rocky Road, chocolate chocolate chip, and chocolate and peanut butter). I never liked vanilla or its variations until I was well into my twenties. But now I actually prefer straight vanilla to straight chocolate, mostly because I've become a chocolate snob. I've had it up to here with molten chocolate cakes, chocolate gooeys, death by chocolate, chocolate covered this-and-that, chocolate fondue, chocolate french toast, and so on. If I want chocolate (which I always want) I want it straight up. A bar of chocolate and that's it. Chocolate ice cream doesn't cut it. But mocha is another story. I think of mocha as coffee with some cocoa in it, not as chocolate with a hint of coffee. 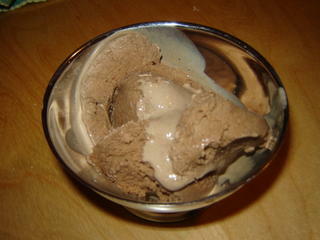 Chocolate and coffee go together like peanut butter and jelly and they combine to make some sensational ice cream. 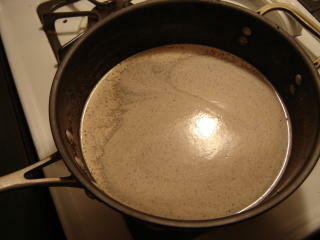 and warmed them up in some cream until the mixture was just hot, then killed the heat and let the mixture infuse. After about 15 minutes I stirred some Dutch cocoa into the cream. 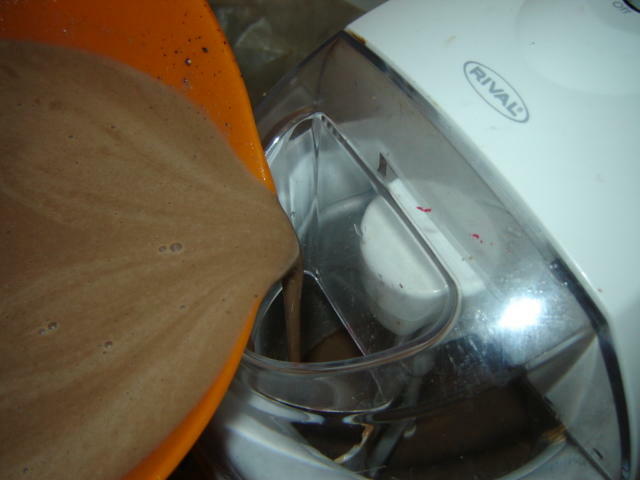 Dutch cocoa is better than regular cocoa because it dissolves more easily in liquid, has a more neutral pH, and a more intense chocolate flavor. I strained the cream mixture to get rid of the coffee grounds and continued making ice cream according to the basic custard procedure. I whipped the eggs and sugar until thick and pale yellow, tempered them into the warm coffee-cocoa-cream, and brought the temperature up to about 170. One way of telling if you've cooked a custard is to see if it coats the back of a spoon, which you can test by dragging your finger across it. 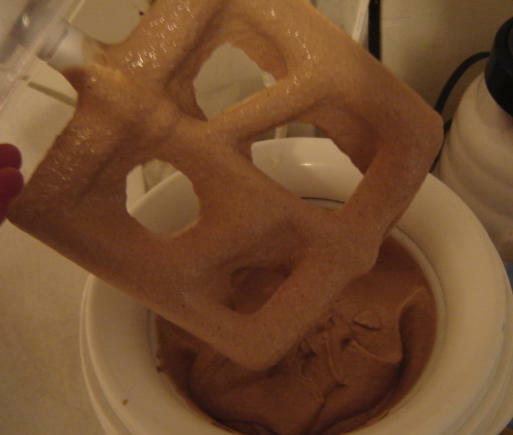 I chilled the mixture in a bowl overnight as with the other ice creams and the next day added a little bit of vanilla extract to the custard and poured it all into the churn. 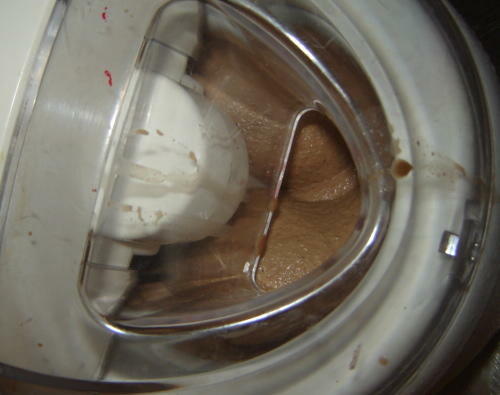 So, my mocha ice cream churned. After about 30 minutes it was done. Yes, I did lick the paddle clean. And here's how it looked right before I ate it. It was really good. 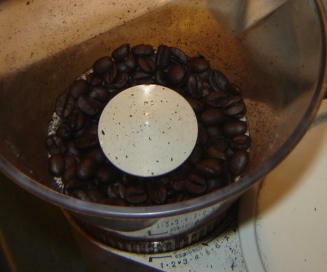 Intensely flavorful, creamy, rich, and complex. Some people would try to make it too interesting by adding nuts or candies or a caramel swirl. These would not be improvements. Sometimes it's better to leave a good thing alone. I'm still deciding what to make next. It might be exotic, something with spices or coconut or tropical fruit. Or all of the above. Stay tuned. That looks good. Do you ever put alcohol in your ice cream? I like bailey's or kahlua over vanilla. and if you are taking requests...I've been really into tofu these days. How about sharing a simple pad thai recipe. Or perhaps some tasty thai soup? It just dawned on me that if you're using decaf, you probably don't use booze. Oh, there will be booze. I don't know if there will be enough of it to get you folks to sing karaoke, but I'll give it a try. Liquers such as those you mention are naturals, but I was also thinking of doing something with bourbon. I've made pad thai more than a dozen times and it never tasted perfect, but I do know that I like it best with fried tofu, which you can get already fried at Asian markets. Your ice cream looks wonderful! A must for a true coffeholic. I really like your thinking behind choosing the ingredients, can you give me the quantities or the proportions. Civil girl, I made this only once, more than 4 years ago, and I don't know how much of each ingredient I used. For the custard mixture I was following Alton Brown's recipe from a Good Eats episode. I probably just eyeballed the coffee and cocoa quantities, the same way I figure out how much mayonnaise goes in tuna salad, or how much salt goes on a fried egg. In the old days recipes didn't specify quantities, and I was going for that throwback kind of vibe. Good luck! Dumpling child, cloud swallow, etc.